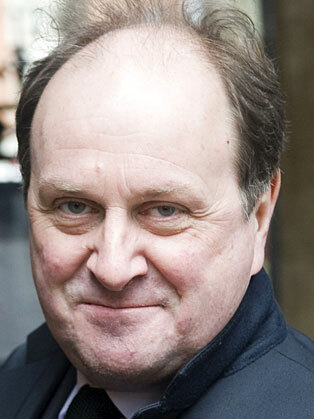 James Naughtie was the presenter of the Today programme from February 1994 until December 2015. He joined the programme from The World at One, where he succeeded Sir Robin Day as presenter in 1988 after a career in newspapers, much of it as a political correspondent at Westminster. As well as his work for Today - he has presented the programme from around the world over the last two decades - Jim has written and presented many documentaries on Radio 4, and prize-winning series including The Making of Music (the story of classical music) and New Elizabethans, profiling 60 of the most influential figures in Britain over the first 60 years of the Queen's reign. He has anchored every election results programme for BBC Radio since 1997 and a wide range of important events for both radio and television - from presidential inaugurations and Papal installations to D-Day commemorations and Royal funerals. He has presented every edition of Radio 4's monthly Bookclub since it began in 1998. As an author, Jim wrote The Rivals, a groundbreaking account of the relationship between Tony Blair and Gordon Brown, and books on music and American politics. Last year he published his first novel, The Madness of July. His second, Paris Spring, will be published in 2016. Since 2008 he has been chancellor of the University of Stirling. We were delighted to have Jim’s expertise. Feedback has been universally positive; they thoroughly enjoyed the session. James created exactly the relaxed tone that we hoped to achieve, coupled with wonderful inside knowledge.